If you’re addicted to writing, the TWW is your fix. Tahoe Writers Works is a group of writers, poets and other individuals who host writing workshops throughout the year. Both beginning and established writers are welcome. There is no obligation other than an exceptional love of the written word. Monthly workshops are held on Tuesday, at 6:30 pm at Bona Fide Books, 1069 Magua Street, #4 in Meyers. 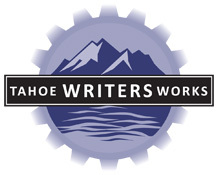 Tahoe Writers Works, established in 2006, is a nonprofit organization based in Lake Tahoe and Reno. The group publishes EDGE, an annual literary journal that features provocative fiction, poetry, essays, and art, from artists both local and global. TWW also organizes events to create a stronger literary and arts community, including the Murder Mystery Dinner Theater at Valhalla and Celebration of Writers Around the Lake. For more information about Tahoe Writers Works, visit www.tahoewritersworks.com.